As we get closer to Christmas, events are popping up around the area. Here are a couple taking place this weekend. 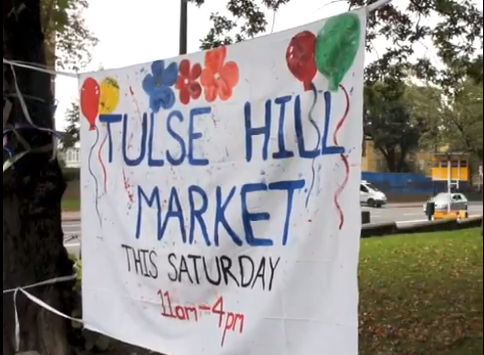 This month the regular market organised by the Tulse Hill Forum has a special guest – Santa! There are the usual arts and crafts, and home-made goodies. There’ll be a santa’s grotto, tombola, Christmas gifts, games, face painting and a craft area. Kids can even get down to writing a letter to Father Christmas. A cafe will be serving homemade cakes, mulled wines, soups and stews. Entrance is on Sudbourne Road and adults pay 50p for entry, kids go free. This entry was posted in Blog and tagged Brixton Hill, events, Hayter Road, Sudbourne Primary School, Sudbourne Road, Upper Tulse Hill by Martin Tiedemann. Bookmark the permalink.